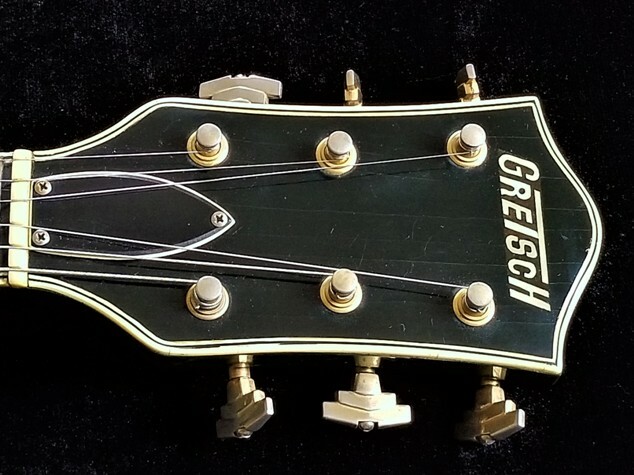 100% original with OHSC; Grovers are on there now but original tuners are in the case. 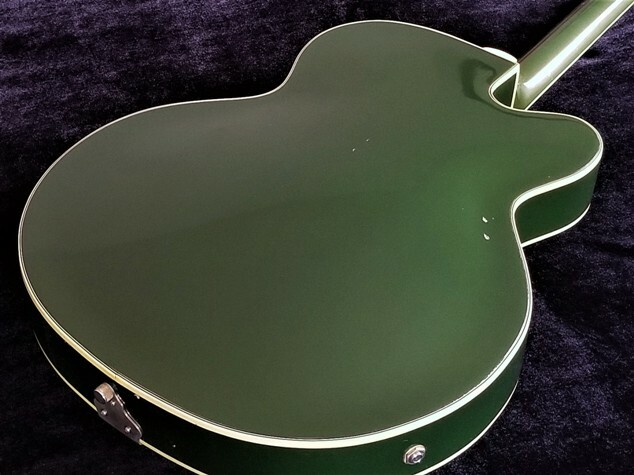 EXC condition; really fine example of an early 60’s Country Club in the always cool Cadillac Green/6196. 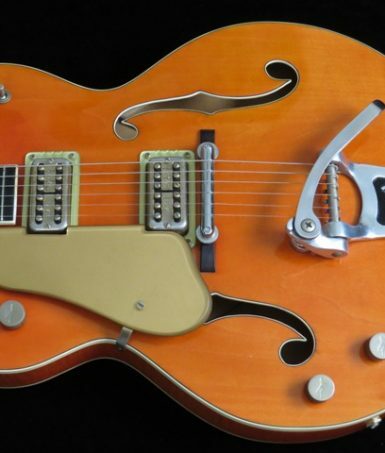 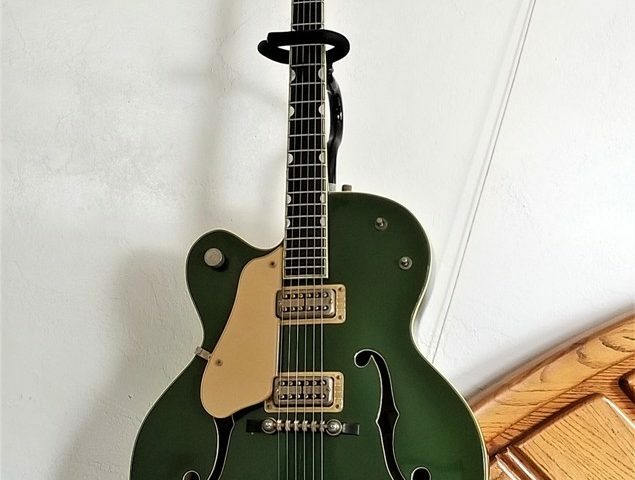 Not many lefty 50s/early 60s Gretsches out there, especially in this condition! 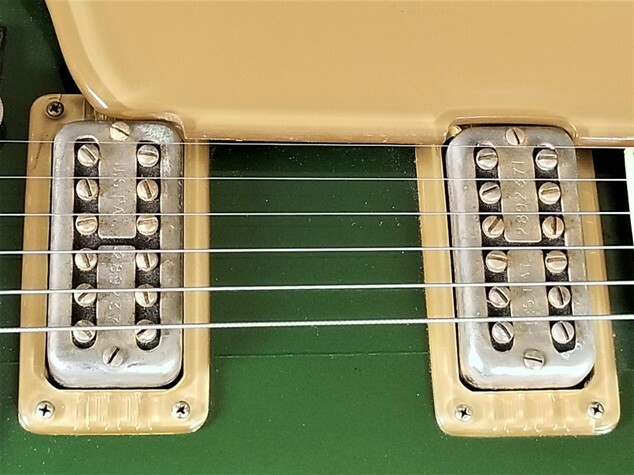 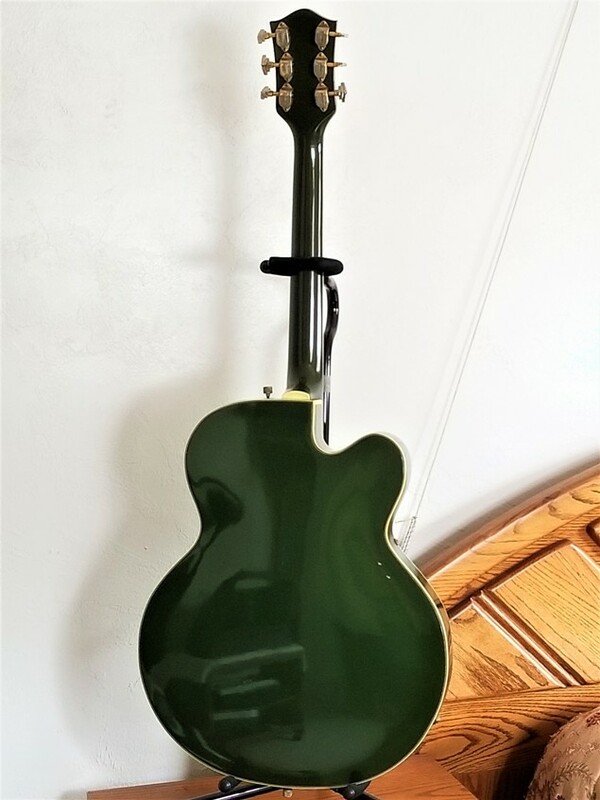 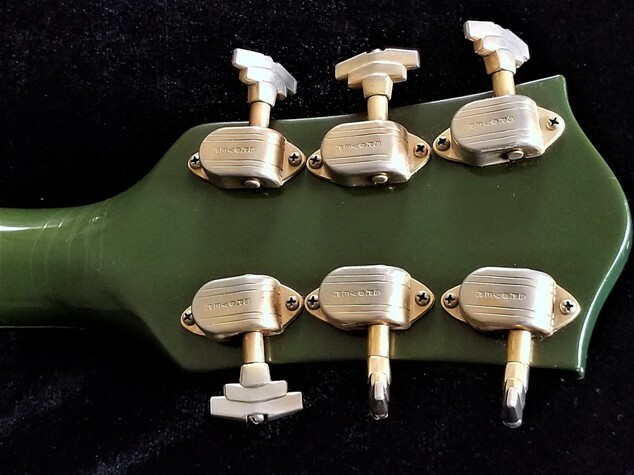 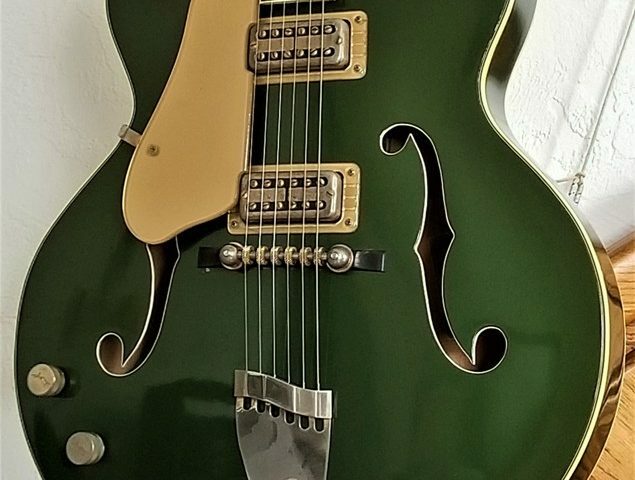 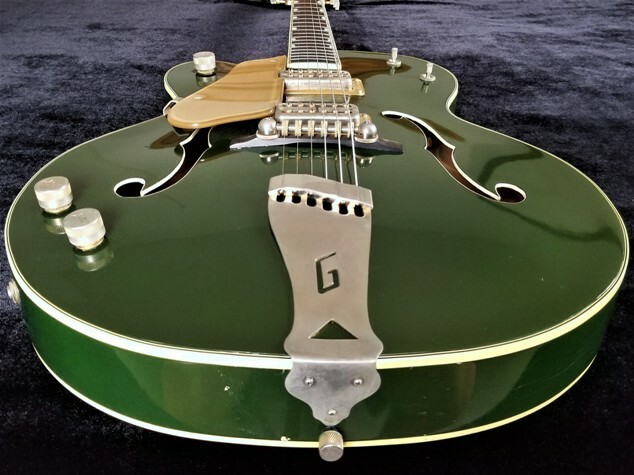 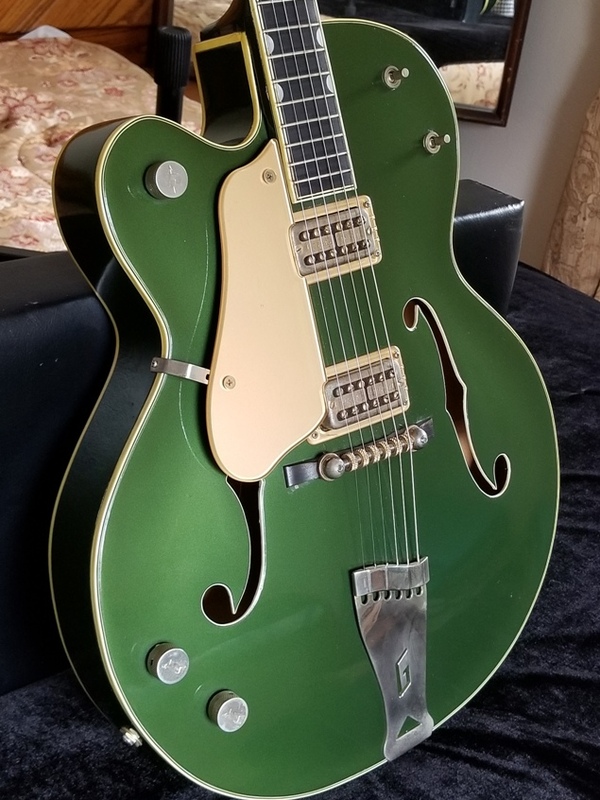 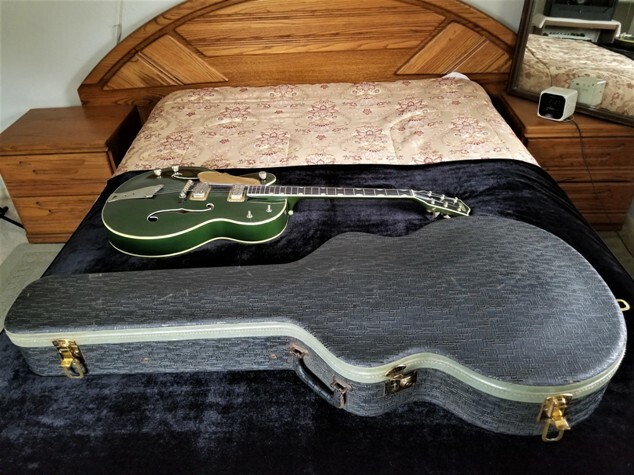 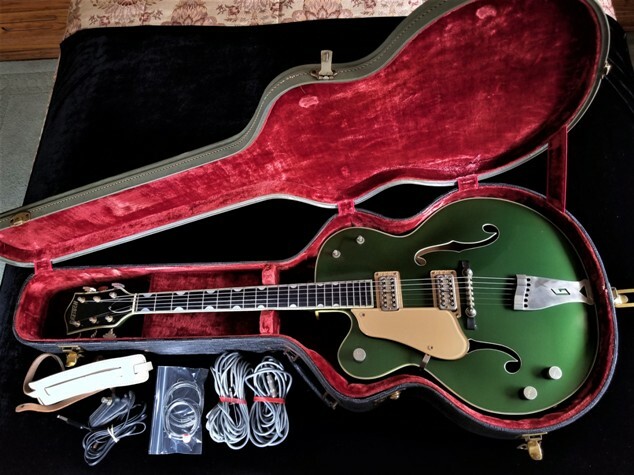 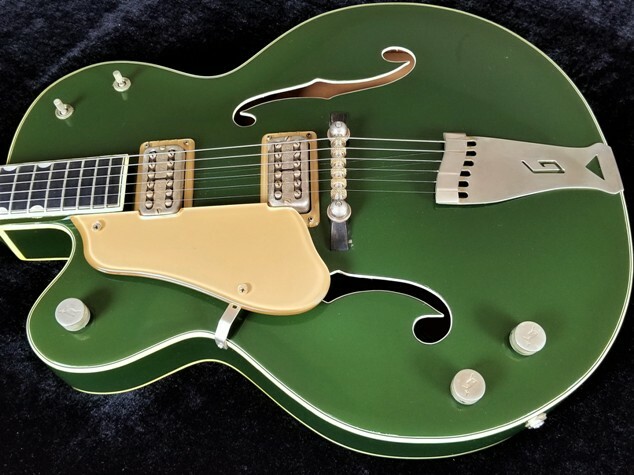 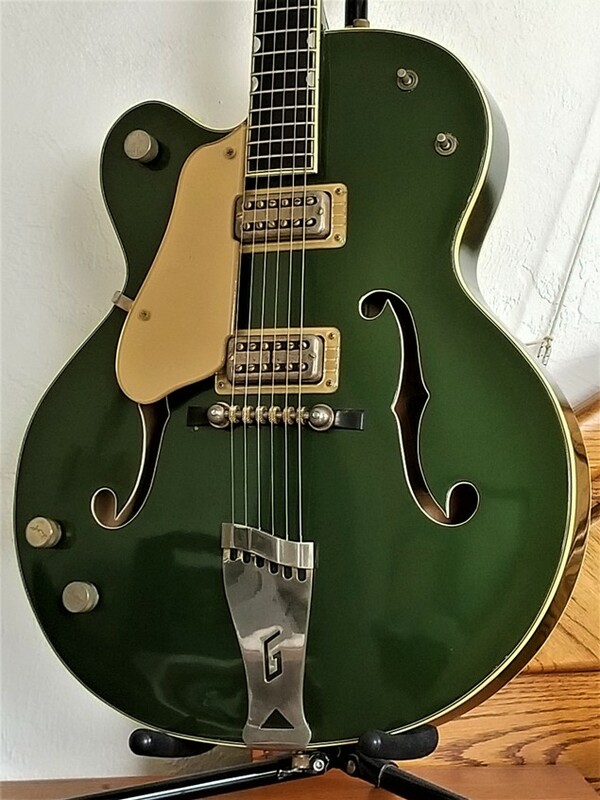 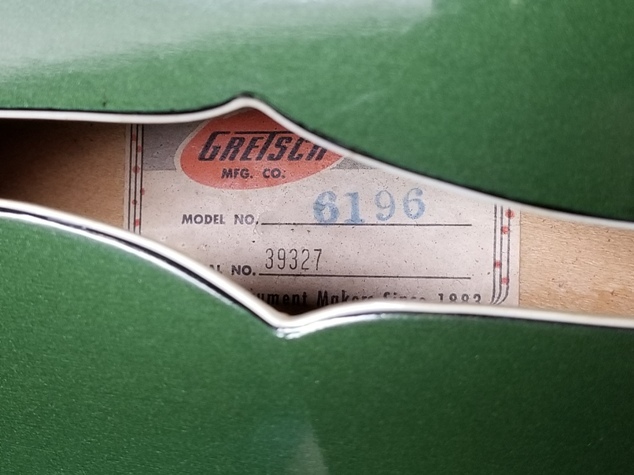 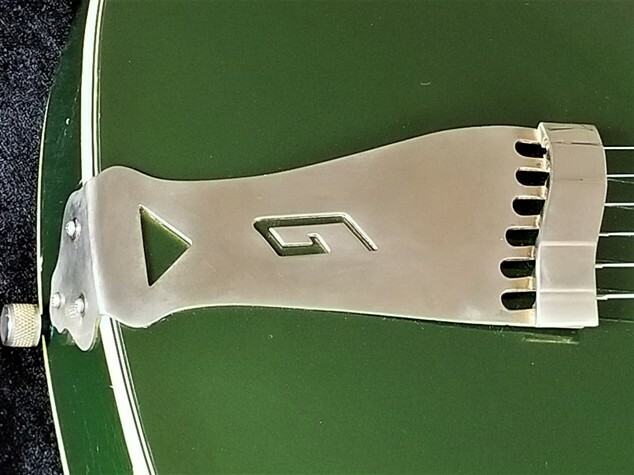 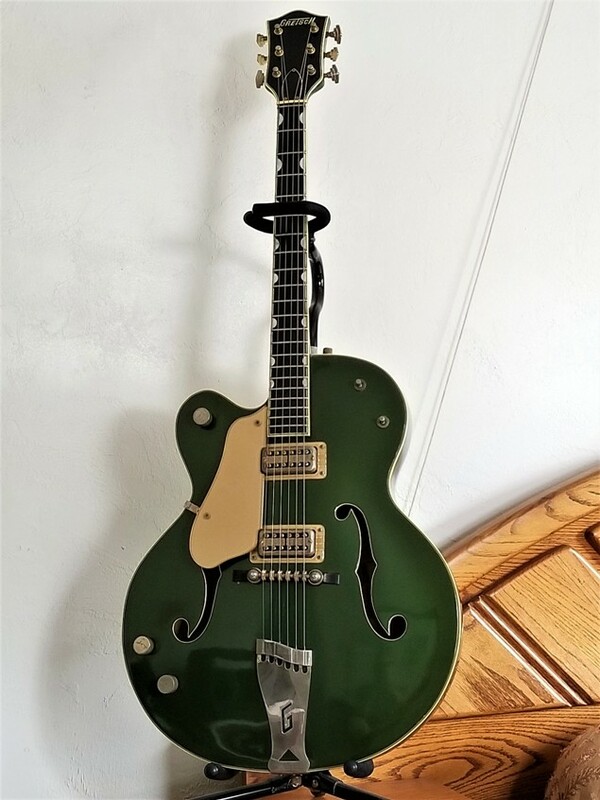 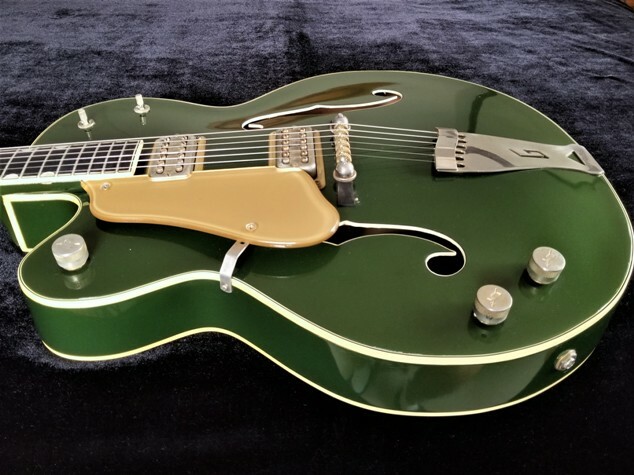 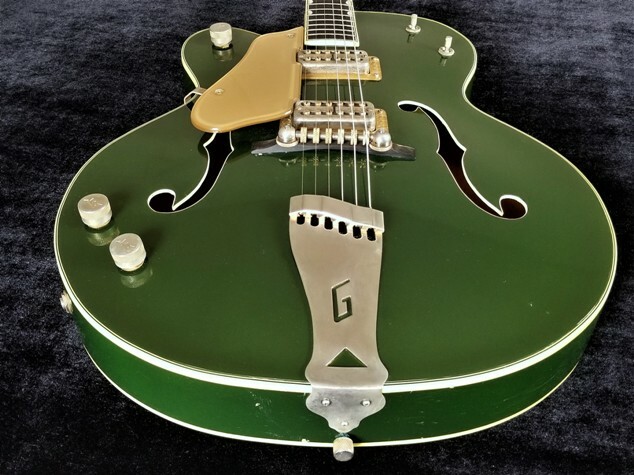 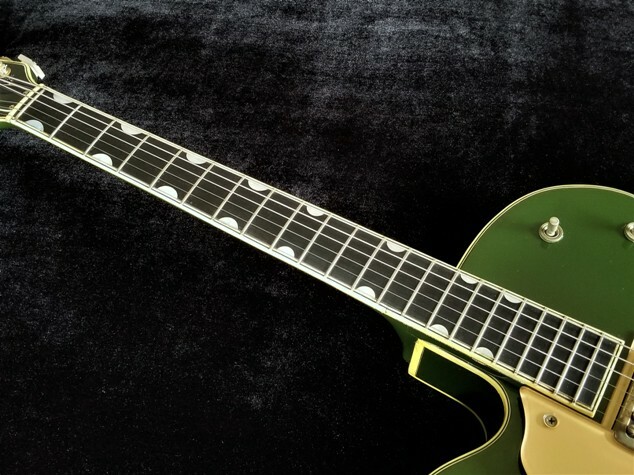 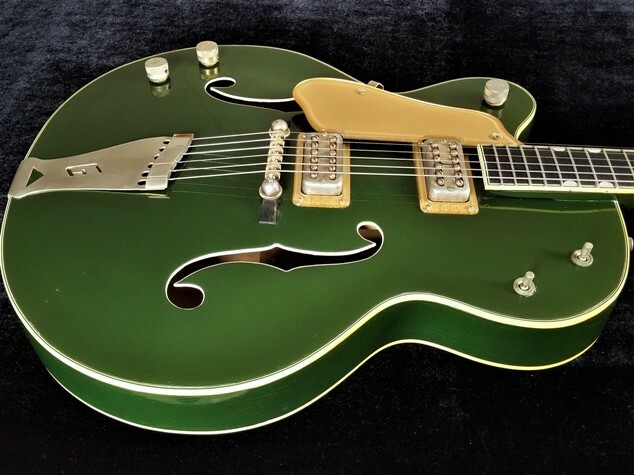 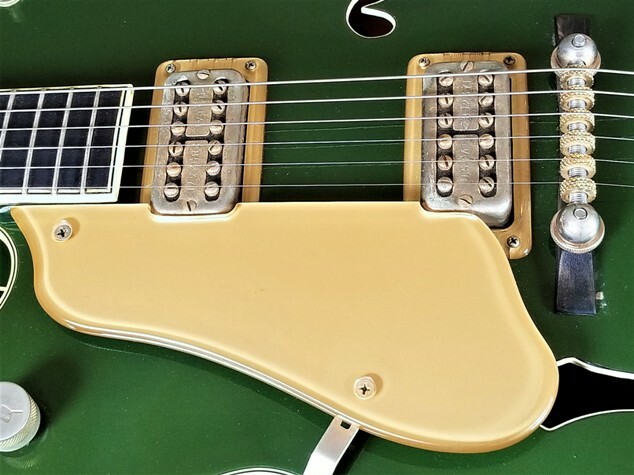 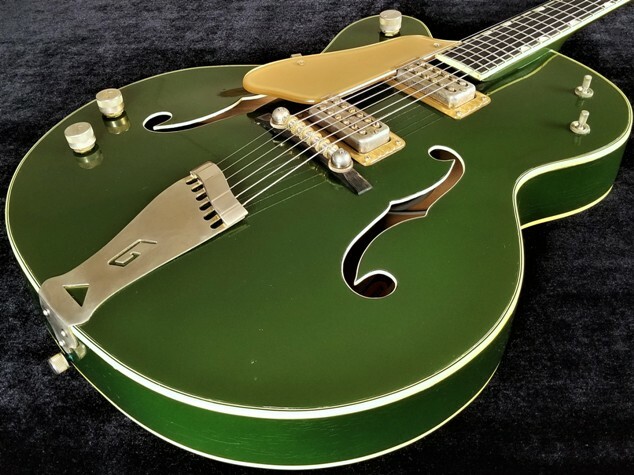 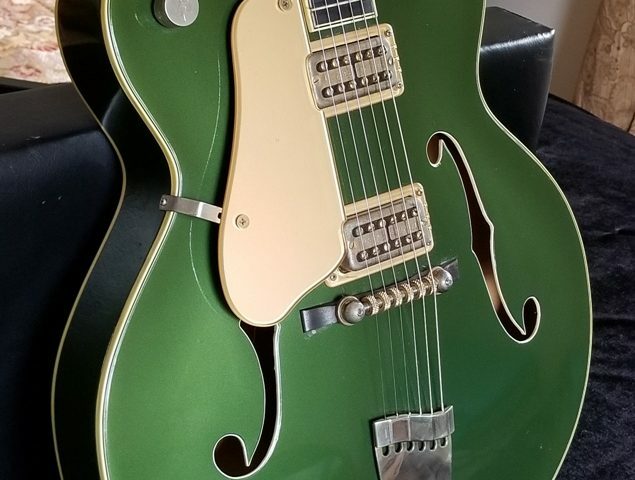 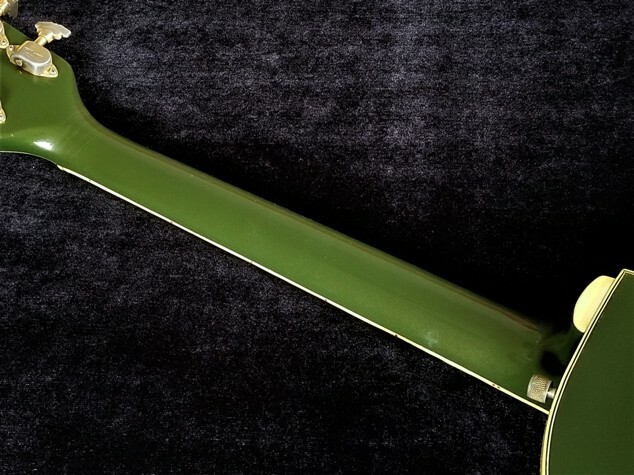 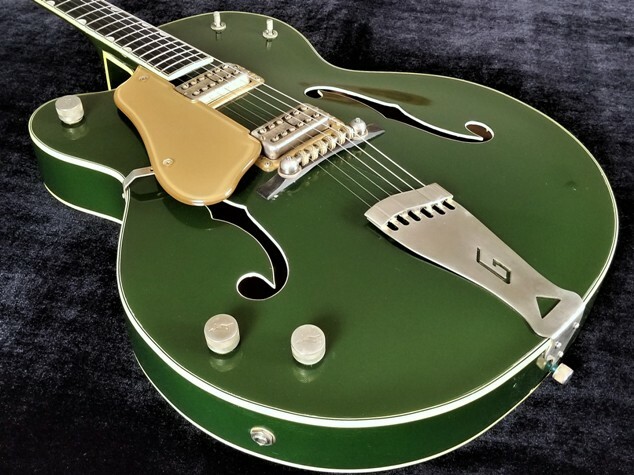 1960 Gretsch Country Club 6196, Cadillac Green, EXC Condition, 100% Original with OHSC! 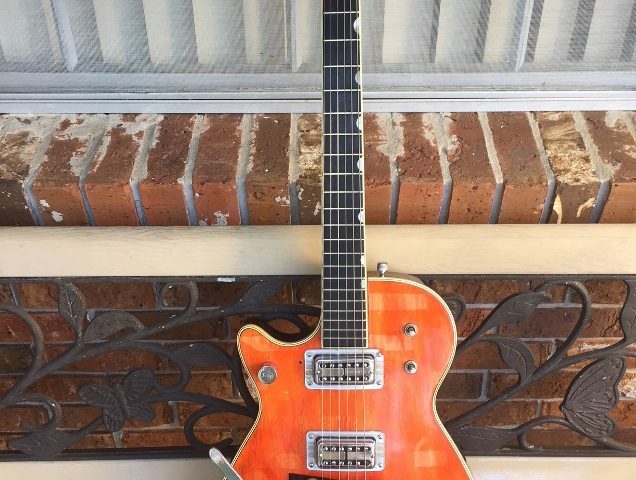 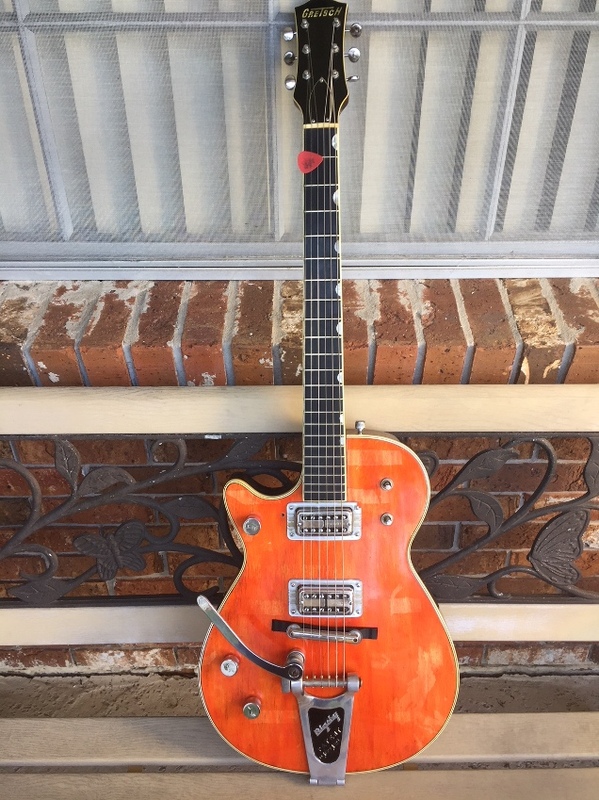 Lefty Gretschs are the rarest of vintage electric guitars, relative to Fender, Gibson, etc. 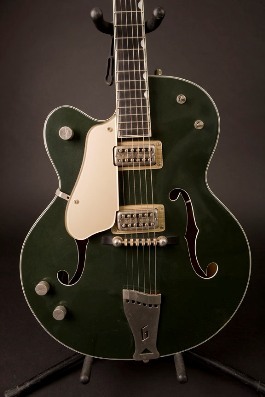 This is a late 1960 and it has the deeper 2 1/2″ body of a 1959! 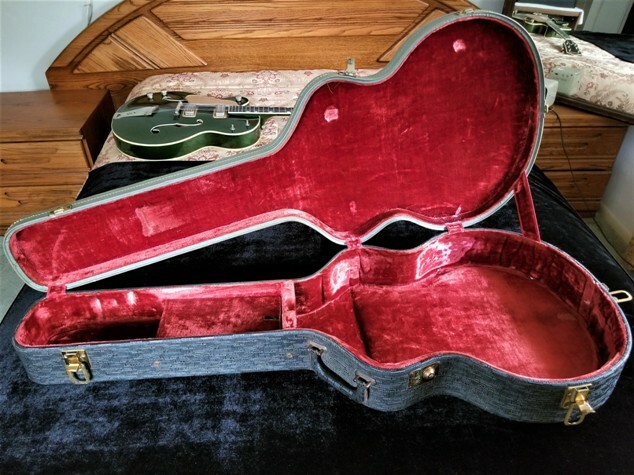 This guitar has been very well cared for – it looks like it was played for only a short time and then put away in storage. 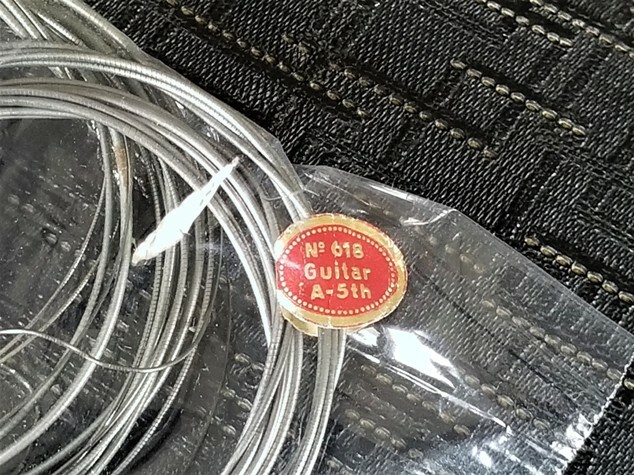 It even has the original flatwound strings in a bag! 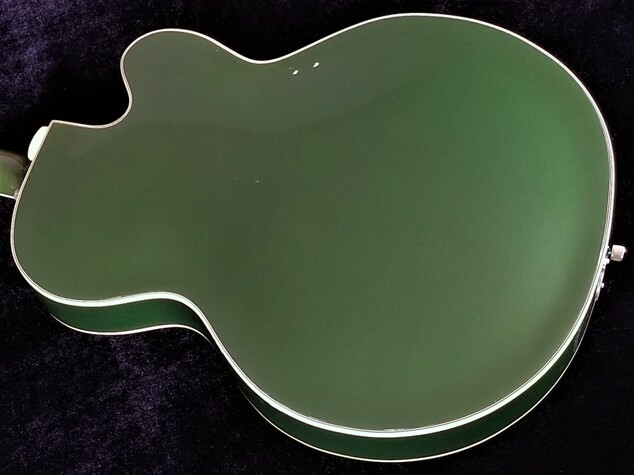 The only thing that appears to ever have been done on this guitar was a fret level from the 10th – 22nd frets. 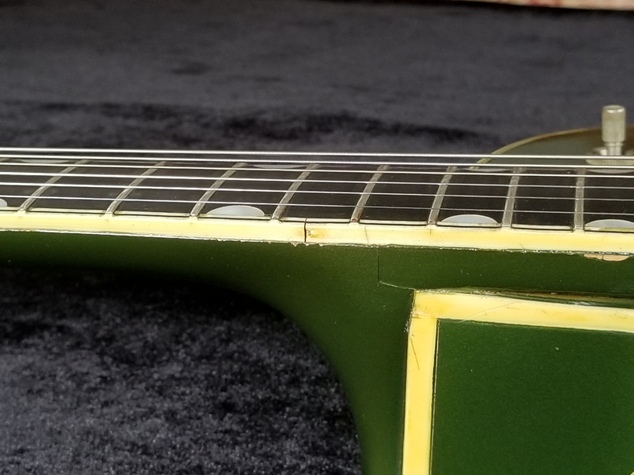 The original frets are in great shape, with only minor wear on the first 3 frets. 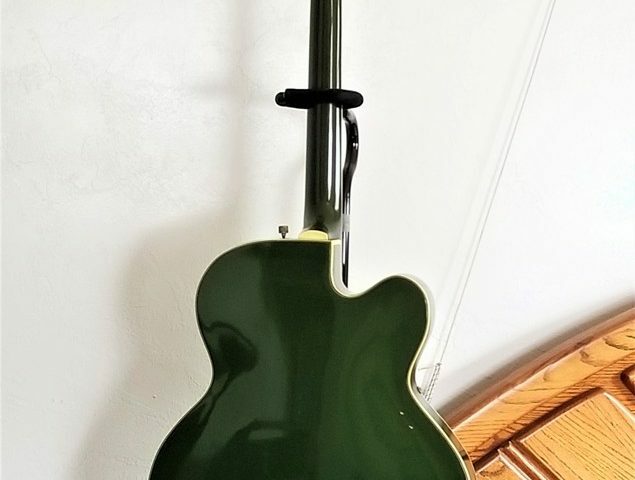 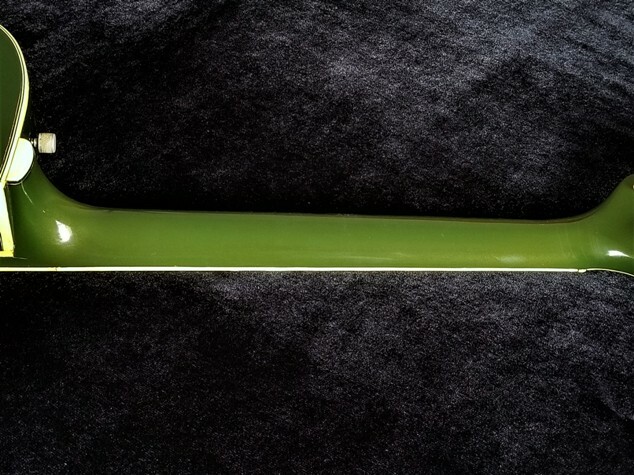 The back of the neck shows hardly any wear at all, as well as the Ebony fingerboard.